Conrad suggested that the Flight Director might send up a tanker - the crew would be happy to refuel, remain in orbit, and do some more work. But while this air-to-ground joking was going on, the crew was getting ready to land. There was only one significant event left before Conrad and Gordon wrapped up their mission. 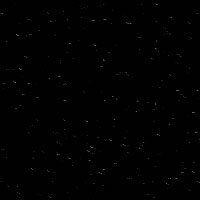 A secondary objective called for the crew to make an automatic reentry. 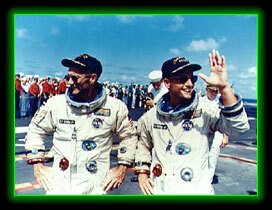 The commanders of other Gemini flights had flown their spacecraft down from 120,000 meters. This had enabled them to make corrections up to 550 kilometers downrange and 50 kilometers cross range. Conrad, however, would not fly the spacecraft with his hand controller in conjunction with computer directions; the spacecraft would follow these commands automatically. On September 15, 1966, after 70:41 hours of flight and in the 44th revolution of Earth, the retrorockets fired. Conrad and Gordon watched the computer closely. It certainly seemed to be working right. Conrad then disengaged his hand controller and put the system on automatic. On several occasions, the spacecraft displayed an almost human characteristic, hesitating before accepting its orders. 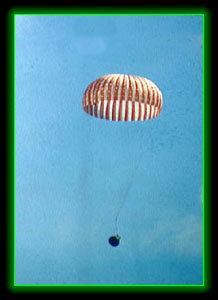 But the system recovered quickly and performed beautifully, using a minimum of the reentry system's control fuel. The accuracy of automatic reentry was thoroughly demonstrated when the spacecraft landed within 4.6 kilometers of the U.S.S. Guam, the prime recovery ship, a sea-going platform for helicopters. 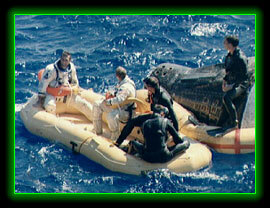 The crew and spacecraft floated down to its landing, after 71:17 hours elapsed time. All primary objectives had been accomplished and the last docking with Agena had been added to the mission plan due to the favorable fuel supply.